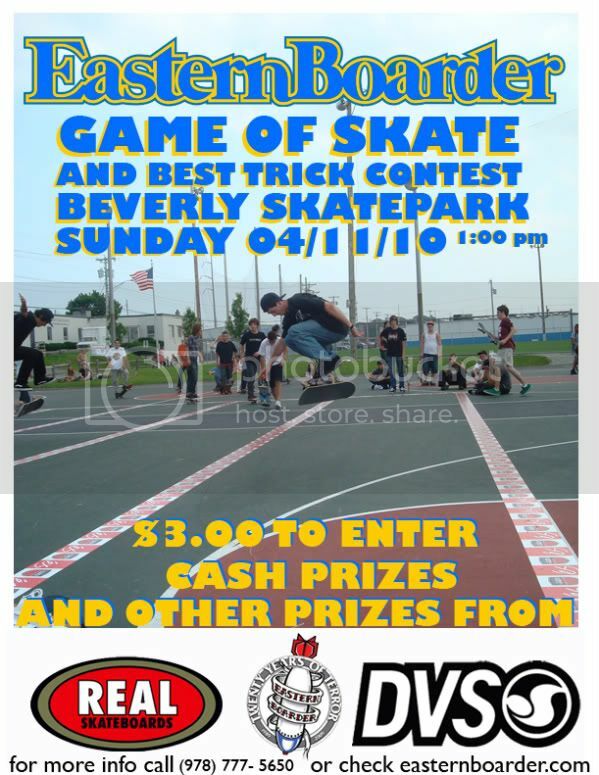 With more nice weather in the forecast for this weekend we decided throw together a last minute contest at the beverly skatepark. We will start things off with a game of skate then do some sort of best trick on one or more other features at the park. There will be a small $3.00 entry fee but that money will all go into a pot to be split up into cash prizes along with other prizes from REAL SKATEBOARDS, DVS SHOES and EASTERN BOARDER. After the contest don't forget about Brace Jam at Rye starting at 6:00pm.